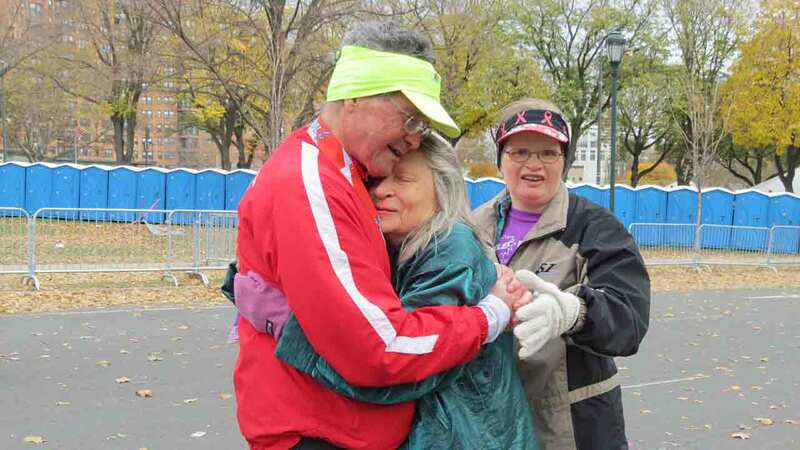 Don Wright's wife, Ardis, and daughter, Sarah, greet him at the finish of his 100th marathon. CENTER CITY -- Last week, Action News health reporter and registered nurse Ali Gorman introduced us to Don Wright, a 75-year-old Minnesota native and cancer survivor who had completed 99 marathons. It was part of his quest to raise awareness of cancer survivors, and an advocacy group called My Life Is Worth It. The group seeks a bigger place at the table for cancer patients on the pricing of cancer drugs. 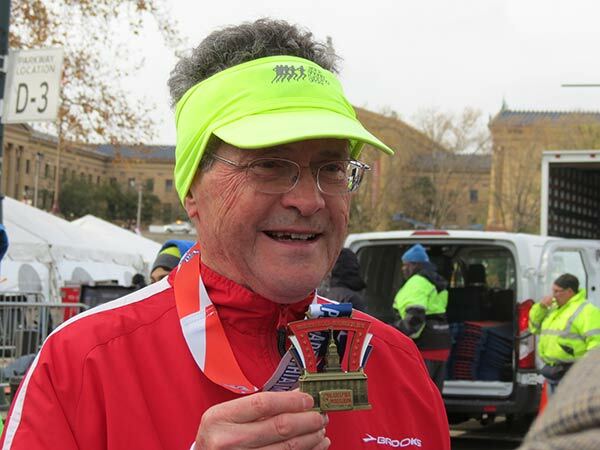 Cancer survivor Don Wright completed the Philadelphia Marathon on Sunday - his 100th marathon! His goal was to make the Philadelphia Marathon his 100th race, and yesterday, he did it. His official time was 6 hours and 47 minutes. Don says winds gusting to 30 & 40 miles an hour were rough to deal with. "Wind doesn't actually provide a lot of benefit when you're running with it, but it sure holds you back when you're running into it!" He believes wind was to blame for the extra 15 minutes it took him, compared to his 99th marathon last month. Don said Philadelphia was the perfect spot to reach his goal because of the beauty and history of the city. Don was diagnosed with the blood cancer multiple myeloma in 2003 and given less than five years to live. Myeloma affects cells in the bone marrow and cannot be cured. But for many patients it can be managed with modern medicines. KGO has contributed to this report.